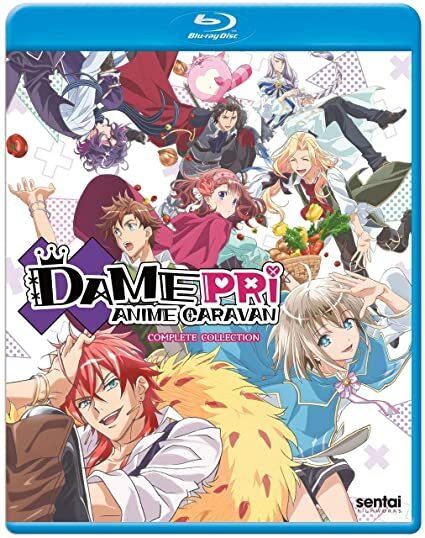 Damepri Anime Caravan - BUY THIS BLU-RAY! Danepri Anime Caravan contains episodes 1-12 of the anime directed by Makoto Hoshino. Diplomatic relationships can often be trying, but when Princess Ani of Inaco is sent to sign a peace treaty, she finds more parties at the negotiating table than expected…. and since the others are all princes (or other high-ranking members of the male gender), it seems that one of the major assets in play in this game of thrones is her royal self! What makes it worse is that despite the lopsided Prince to Princess ratio, none of the misfit peerage involved are exactly Prince Charming her off her feet! THEN SEND IN YOUR NAME AND ADDRESS TO contests@efilmcritic.com. Put "FOX NEWS SAYS AN ANIME CARAVAN IS A COMIN'" in the subject line and cross your fingers. We will draw names and one of the packages could be yours. Only 1 entry per household.